My friends and I here at The Primary Peach are so excited to bring you "The 12 Days of Winter" - and whole bunch of ideas, freebies, and holiday fun! 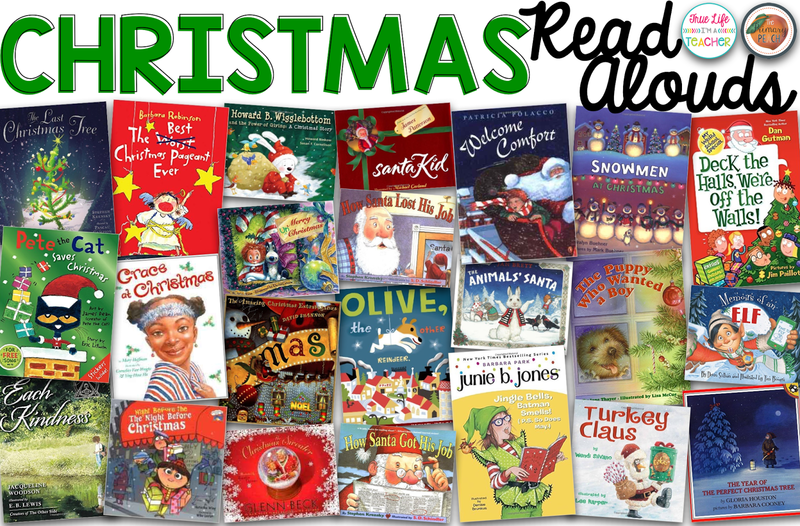 We will offer 12 days of resources - the same number resources for the day. 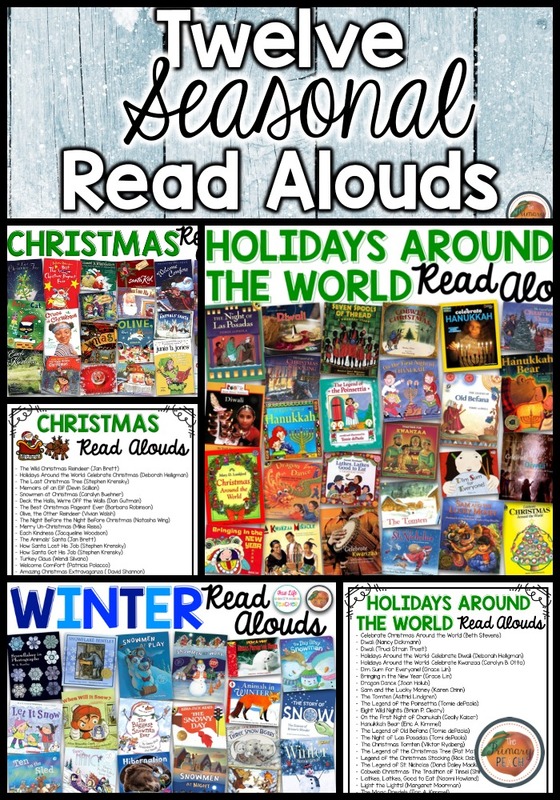 For example for the 5th day we will offer 5 free resources! 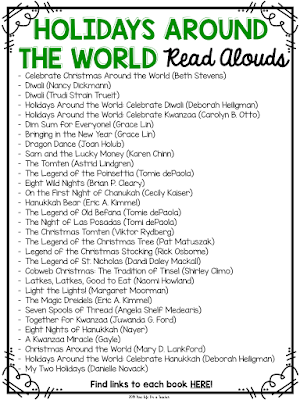 Let me be real...I probably have close to 45 Christmas-related books, 20 or so "Holidays Around the World Books," and 25 or so Winter books that I've collected over the years. 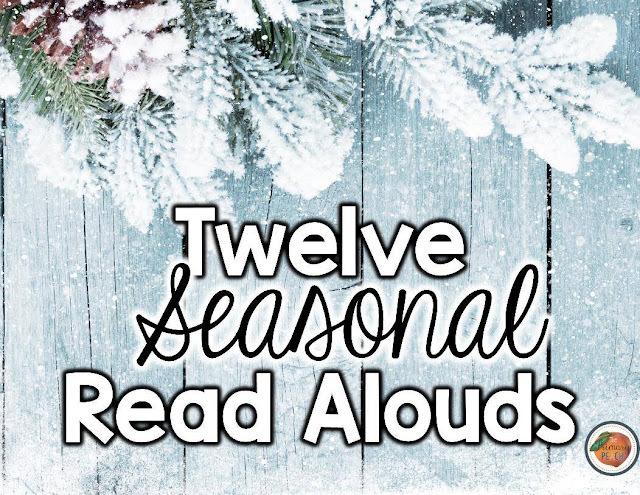 There's NO WAY, I could only share 12!!! 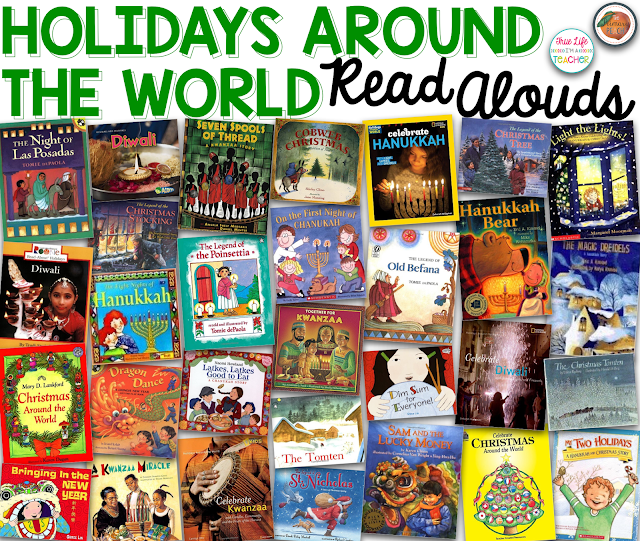 Instead, I've divided the post into Christmas books, Holidays Around the World books, and Winter books. 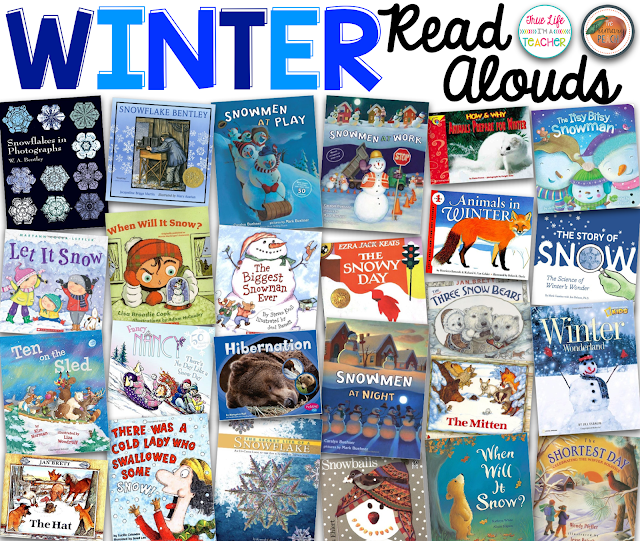 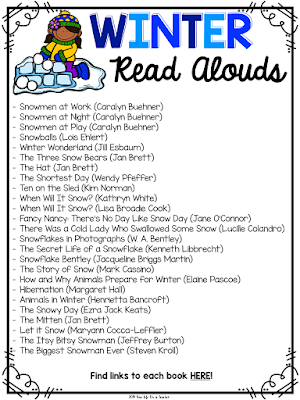 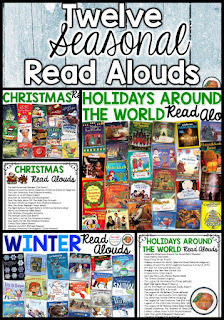 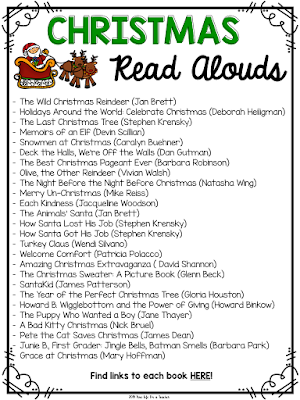 These lists are by no means comprehensive, however, I hope they help you grow your read aloud collection, and give you some read aloud inspiration! 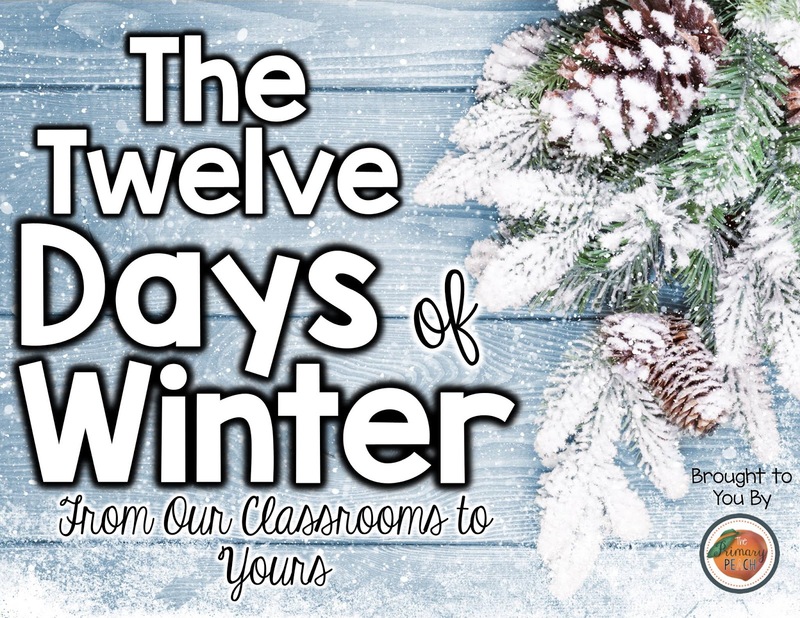 Be sure to check back tomorrow when The Primary Peach gives...11 Seasonal Math Activities!! !